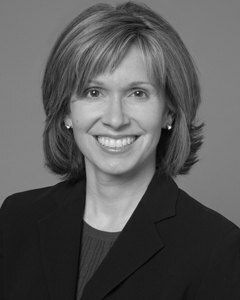 Vicki joined @properties in March 2008. She moved to Chicago in 1990 and started selling real estate in 1993. Vicki has been a top-producing agent in The Chicago Association of REALTORS® for the past ten years. She earned a Bachelor of Science in restaurant management from Purdue University. Today Vicki applies the lessons she learned as a restaurateur to her career as one of Chicago’s premier real estate professionals, providing superior service with the utmost of honesty, integrity and knowledge designed to create lasting relationships and impressions. She educates her clients to ensure they make the right decision with their home purchase. She has personal experience in residential real estate, commercial real estate, new construction, property management and 1031 tax deferred exchanges from Rogers Park to Bronzville. In this ever-changing real estate market it is extremely important to choose an experienced agent who truly understands how to navigate the ups and downs of a challenging market. Vicki’s favorite aspect of her job is meeting and networking with people. She is a great listener who will work within your specified parameters without pushing you to view properties that are not a good fit. She works with first time buyers as well as repeat buyers and sellers. Ninety percent of her sales come from past clients and referrals. Vicki lives in Bucktown with her husband and son. She is actively involved in Big Brothers/Big Sisters and is a founding member of The BCO'S (Bucktown Community Organization) Education Committee whose goal is to improve the neighborhood schools in hopes of keeping families in the city. In her free time Vicki makes a point to try as many different restaurants as possible. She enjoys cooking, entertaining and collecting/tasting wine with her husband. She also loves traveling and exploring Chicago’s vast cultural events, concerts, parks and museums. Vicki prides herself on being a low-pressure salesperson that closes the deal by educating her clients, treating everyone with respect and utilizing her past experiences in the Chicago real estate market. No deal is too small! When you are ready buy or sell, call Vicki to receive the highest level of service for you, your family and friends. "We felt very fortunate to work with Vicki on searching for and purchasing our first home. From the outset she provided helpful insight about the homes and the market of the neighborhoods we were interested in, i.e., Bucktown, Wicker Park, Logan Square and Ukrainian Village. We were able to see a wide range of homes in these areas that fit that qualities we were looking for, which helped us in finding the right home in the right location. Then during the negotiation and purchase process she was extremely helpful when navigating this process, especially providing a timeline and framework for what to do and expect at different stages. In addition, she went the extra mile in securing people to help with elements of the inspection and going to meet with them when were unable to be present because we were out of town. Along with being very knowledgeable about the process and market, she provides a calming presence throughout what can be a very stressful and hectic process. We would recommend working with Vicki for your home purchase or sale and, plan to work with her again if we have another home sale or purchase." "Vicki is a great real estate agent. She is knowledgeable, patient and persistent. She is always available for advice and counsel. First helped me rent my condo and then helped sells it. Could never have sold my place without her. Highly recommended." "Very professional. Attentive service and on-point advice! Highly recommend!" "Vicki gave us such great guidance and advice on how to succeed in selling our house. We had multiple offers and excellent experience. It was our third time using Vicki as a realtor and first time as a seller. She"